Trouble Spots - Gum, a dilemma! Illustrated below is a large block of CSA 12-KB, a classic Keatinge & Ball printing as evidenced by the heavy dark gum, often referred to as "molasses-like gum." Note how it has stained the face of the block. 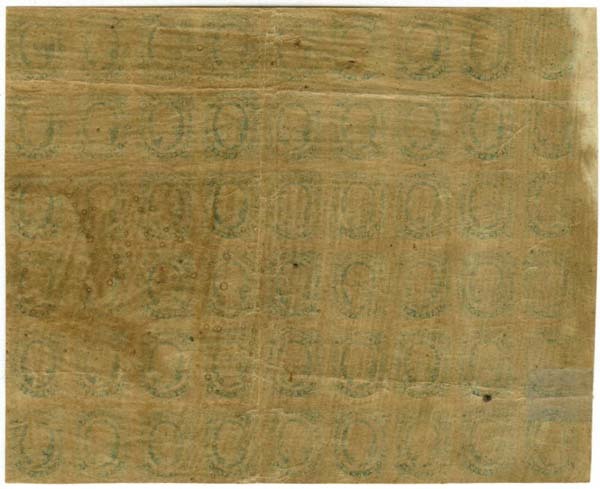 When viewed from the verso, it is clear how the gum was applied - with brushes, which created an uneven depth varying from heavy to light, applied in different directions and often leaving little air bubbles. Because of the often heavy staining, many serious students soak their stamps to prevent further degradation of the face. Thus it could be argued that stamps with no gum, while listed in the Scott Catalogue as less valuable, truly are not. Many would assert that they are actually more valuable and would counter with oft heard, "Are we collecting the gum or the stamps?" Should we follow the seemingly gum-crazed U.S. stamp market trend or save Confederate stamps for future generations of students? Below is the back of another large block, this of a CSA-AD, Archer & Daly print. Uneven gum applied by brushes is not only the venue of Keatinge & Ball. Similar quandaries apply to these issues, although not usually as serious as with the thick dark K&B gum. As with the upper example, the gum staining is most easily seen in the margins where there is no design. This is why old time hoards of type I and type II stamps that had the gum soaked years ago appear fresh and bright with eye-popping color. So which is more collectible? Caveat! You may erroneously interpret this page as recommending that you go soak all your Confederate stamps. Not so fast. This is essentially a case by case basis. If you soak your typographed (letterpress) Confederate issues, which are said to have been printed with fugitive ink, you may end up with a problem. Fugitive inks are printing inks used in stamp production that easily fade or break up in water or chemicals. 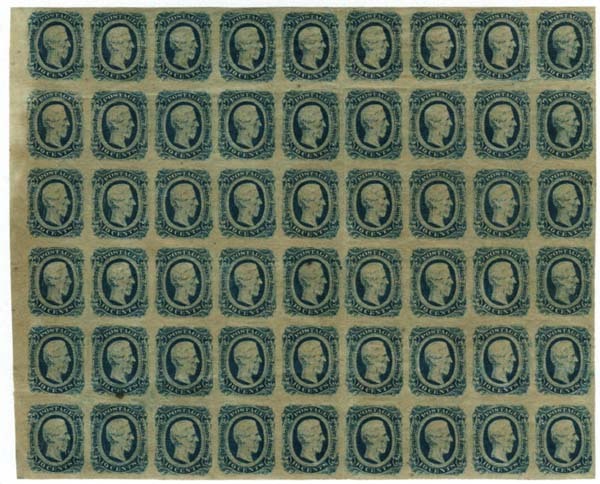 To counter attempts at forgery or the removal of cancellations, many governments have used fugitive inks to print stamps. If you soak the CSA 14, for example, you may end up with a "fuzz ball." Not desirable. 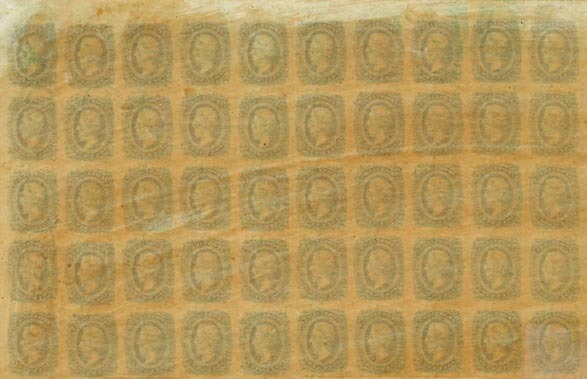 See Scott Catalogue's Special Feature on Detrimental Gum on Confederate Stamps As of the 2019 Scott's Specialized Catalogue, Confederate stamps are now valued differently than in the past. With the exception of CSA 6, produced by De La Rue in London, and CSA 7-L, printed in Richmond on London paper with London ink and gum, Confederate issues are valued the same whether they have original gum or no gum.